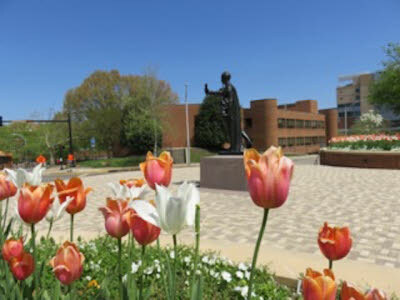 For many University of Tennessee at Knoxville alumni and supporters, the Torchbearer statue by Circle Park is an iconic landmark that emits deep feelings of pride. 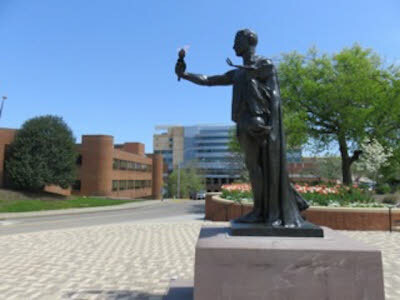 Standing nine feet tall and as slender as a UT wide receiver or track runner, this statue of a male Greek god-like figure holding a torch is literally the big man on campus. It also has the best vantage point for the Vol Walk that passes by in front of it before every UT home football game. Since the giant trophy-like statue’s dedication exactly 50 years ago this Thursday, it has definitely been a popular meeting place for students as well as a site to take photos for sentimental alumni stopping to say hi to their silent old bronze friend. For Chattanooga attorney Alan Cates, the statue is an even closer acquaintance. As the UT senior class president before graduating in 1967, he was asked to help get students involved in raising funds for the statue’s long-discussed erection. 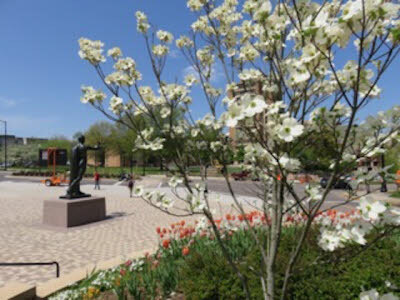 He was able to help, and had the opportunity to attend the dedication and be in a well-circulated picture taken with key university officials when the statue was dedicated on April 19, 1968. “I was invited to participate. I got to be one of the unveilers, and I was delighted to do that,” Mr. Cates proudly recalled on Tuesday from his Dome Building office of the Husch Blackwell law firm, where he serves as a partner. At the time, Circle Park did not include the Communications Building or Andy Holt Tower, and it was surrounded by some older homes, some of which were fraternity houses. The McClung Museum was already there, however. Mr. Cates said he had been asked to help with fund-raising by UT development officials Charles Brakebill and Ed Boling, later a UT chancellor, and possibly others. As the president of the senior class and a member of Student Government Association, as well as president of Lambda Chi Alpha, he gladly agreed to get some students involved in funding the sculpture, which is actually called the Volunteer statue. His work primarily involved getting the work started through his pitches to the SGA and the Interfraternity Council, he recalled. He added that he is not even sure how much those groups or other student groups raised, or how much was contributed by alumni or others. But his efforts in getting the fund-raising efforts started among the students literally paid off, because he received a satisfying call a few months later after graduating. “In 1968, I had a call from the university saying that they were going to have a ceremony, and I was invited to participate,” he said. At the time of that Friday ceremony, just slightly more than two weeks had passed since Dr. Martin Luther King Jr.’s assassination, and the country and university were no doubt still numb from the events and aftermath. Although Dr. King had died, his dream was still alive at UT, and was made evident by the passing of a figurative civil rights torch when Lester McClain became the first black to play in a varsity football game for the Vols that fall. American involvement in the Vietnam War was also beginning to escalate about that time, and the race to the moon was in full throttle, but the statue would weather all the highs and lows. Mr. Cates said he loves that saying and what the statue stands for. “It is a quality of leadership that doesn’t just look for leadership, but looks to do good,” he said. While Mr. Cates was in school, he recalled that a smaller plaster statue had also stood in the board of trustees room at Austin Peay Hall on the Hill. 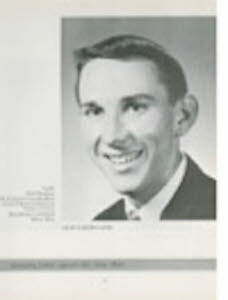 A 1963 graduate of Brainerd High School and the son of an electrical supply wholesaler, Mr. Cates was the first to go to college from his family. He admittedly was not necessarily a big UT fan growing up, but just wanted to attend a school where he could get an academic scholarship. One time while in high school, though, he did hear then-University of Tennessee President Dr. Andy Holt speak at Brainerd and was impressed. 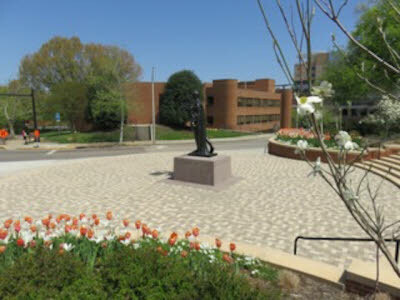 Dr. Holt was involved in the efforts to get the statue built after years in which one was planned and the design was changed in both shape and size. 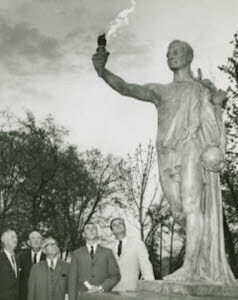 Among many UT people, Dr. Holt figuratively stood as tall as the Torchbearer statue. Also a prestigious Torchbearer honoree as one of the student leaders who also provided service, Mr. Cates remembered speaking at a UT banquet Dr. Holt attended and carelessly saying a sentence that was grammatically incorrect. A few days later, he received a call from Dr. Holt’s soft-spoken but firm Southern secretary, Betty Davis, saying that Dr. Holt wanted to meet with him. Scared he had done something wrong, he nervously arrived at the president’s office, but learned that Dr. Holt simply wanted to tell him of the grammar faux pas he had made and to be careful as he grew older and would likely be making other speeches. Mr. Cates appreciated the constructive advice and realized Dr. Holt was a true leader in paying attention to minute details. Future UT leaders Ed Boling and Joe Johnson were among them, Mr. Cates said. Mr. Cates married his Brainerd High School friend, Jean Thal, who was active in Kappa Delta sorority. 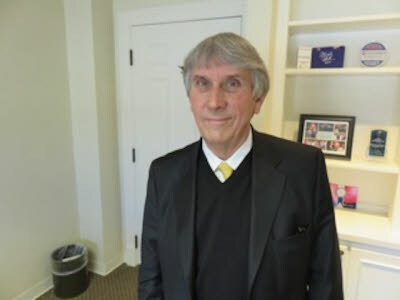 He went on to law school at UT, worked in the planned giving office there from 1972-75 and then returned to Chattanooga, which was always part of his plan. But his blood still runs orange, even though he admittedly does not get up to campus where the statue is more than once or twice a year. 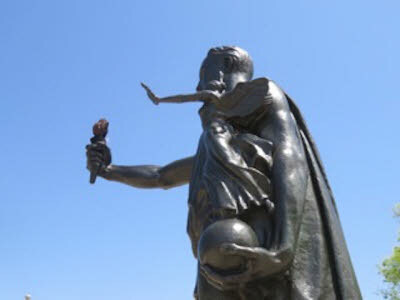 And he was not contacted by UT officials about the Torchbearer’s 50th anniversary ceremony – complete with birthday cake – next to the statue at 11 a.m. this Thursday. His other service to UT has included serving as the UT National Alumni Association president. Mrs. Cates has also served as the leader of the women’s alumni organization. Like the Torchbearer’s eternally burning flame except during an energy crisis and occasional periods of maintenance, their love for UT has never gone out. “The University of Tennessee has been really good to Jean and me and good for us,” he said.